The prevalence of traumatic stress has grown rapidly in recent years (Kilpatrick et al., 2013), requiring mental health professionals to review standard practices for treating this sequelae, as well as augment their training to provide trauma-specific treatment (Kannan, 2015). Several patient-related stressors have accounted for the rise in acuity in traumatic stress over time, including vulnerability to risk factors (e.g., repeated exposure to trauma, substance use), willingness to seek professional help, and improved access to psychiatric care which allows more individuals with serious mental health concerns to function within highly demanding academic and work environments (Gallagher, 2014). As a result, psychologists are treating patients who present with greater levels of stress as well as high acuity, a combination that calls for a more deliberate approach to trauma-focused treatment. As an early career psychologist working within a university counseling and medical center, I have found that the psychological care of my patients has grown into a broader, trauma informed system due to this trend of rising acuity and complexity in presentations of traumatic stress. In this paper, I share some of the considerations involved in developing a clinically-focused career in the field of traumatic stress based on my experience and training. The American Psychological Association (APA) defines evidence-based practice as “the integration of the best available research with clinical expertise in the content of patient characteristics, culture, and preferences” (APA, 2006, p. 273). While not all clinicians have extensive trauma-focused training, the emergent clinical needs among individuals coping with traumatic stress has resulted in an increased need for developing trauma-specific, evidence-based practice. Unfortunately, a focused study of trauma has not been an integral component of doctoral level training in psychology (Courtois & Gold, 2009; DePrince & Newman, 2011; Gold, 2014), leaving the impetus on practicing psychologists to develop programs and create opportunities within their systems of care that lead to improved outcomes in treating traumatic stress (Cook & Newman, 2014). Recommendations for entry level practice and early career psychologists are based on the expert consensus guidelines laid out by the International Society for Traumatic Stress Studies (Cloitre et al., 2011) and the New Haven Competencies for Training and Education (Cook & Newman, 2014), which are broad enough to be applied to a variety of clinical settings. Collaborating and working with a treatment team can shape and expand your clinical formulation and understanding of traumatic stress. Particularly when working with complex trauma, doing this work in isolation is an added challenge due to the immersive nature of therapy that requires therapists to empathically relate to patients who share trauma narratives that are likely to be quite detailed and painful to engage. Additionally, treating individuals with complex trauma histories can be overwhelming to clinicians due to the multiple areas of dysregulation that needs to be addressed. Shared decision making has been identified as an important competency among practitioners in managing the complexity of a trauma-focused practice, regardless of the setting in which you work (Cook & Newman, 2014). Team approaches can also help clinicians manage the effects of secondary traumatic stress (STS), where vicarious or secondary exposure to trauma can lead to negative outcomes for providers and be a potential barrier to effective care, if not addressed (Cieslak et al. 2013). An example of this approach might include creating forums for addressing the complexities of trauma-based practice via case conference/discussion meetings. The goal of these meetings could be to work towards collective competencies through interdisciplinary collaboration, such as arriving at a consensus for benchmarks around trauma-informed assessment, diagnostic considerations, and treatment planning, while also addressing the impact on providers. Psychological and behavioral health services are routinely integrated into larger health and primary care settings, and psychologists are also expanding their consultative roles within these settings (James & Folen, 2005). This diversification is largely a result of the recognition of psychology as a crucial component of the biopsychosocial model of health and wellness. Therefore, establishing best practices for trauma-informed care needs to be implemented within the existing institutional framework, as treatment decisions will be impacted by various structural factors (e.g., policies, availability of resources, systems of communication, institutional norms). One idea of working systemically is the development of a liaison system where clinicians can reach out to other providers and departments to help create a line of communication across disciplines (via a formal procedure or more informal/need-based). This coordination of services and communication can be an important skill to develop as exposure to traumatic events might affect patients in different ways (e.g., academic functioning, disability status, legal reporting of assault). More generally, behavioral intervention teams (e.g. engaging police, mental health providers, administrative staff, and other system partners) also serve a similar purpose (Douce & Keeling, 2014), where psychologists utilize consultative roles to educate non-mental health providers who may make decisions regarding the welfare of those impacted by psychiatric concerns. This is consistent with competencies outlined to work collaboratively across systems to improve mental health outcomes (Cook & Newman, 2014). Developing an understanding of contextual factors can guide professional development by using trauma-focused knowledge, skills, and training to connect to the unique needs of the population with which you work. Specifically, this refers to the social context such as family interactions, peer relationships, and the larger community within which the individual has experienced a traumatic event. Clinical decisions and treatment planning should be responsive to these factors and should be guided by the literature on how interpersonal trauma impacts biological, cognitive, social, and emotional development. For instance, the variability across patients in being able to tolerate exposure-based therapies can be a combination of their biological sensitivity to stress, individual cognitive-emotional responses, as well as environmental responses after the traumatic event occurred, coping flexibility, and access to support systems. In order to provide intervention to meet the variability around sensitivity to exposure therapies, adjunct approaches to care can be considered that enhance skill building and increase engagement in therapy (e.g., biofeedback training, DBT skills training, seeking safety groups). Another example of being responsive to contextual factors within a university mental health center, could be recognizing the need to support students in an acute phase after an assault or other traumatic event while they may not typically have access to their usual support systems or may feel ambivalent about disclosing trauma to family members or friends. Providing students with multiple points of access to programs or services on campus that offer a time-sensitive response can help restore their sense of safety from physical harm and reduce risk of re-traumatization, as well as provide education about adaptive psychological responses after a traumatic event (Fallot, 2008). Diversity within trauma-informed training includes, but is not limited to conceptual issues, empirical models, applied interventions, and policy-oriented issues related to trauma (Layne et al., 2014; Mattar, 2011). Consideration of how diverse types of trauma exposure impact treatment (e.g., interpersonal violence, disaster, military), as well as addressing the impact of cultural, racial, gender, sexual identity, and ability/disability status of patients aids clinicians in understanding the social, historical, and intergenerational context of trauma-related experience. Cook et al. (2011) reported on findings from a survey conducted by the American Psychological Association Practice Organization, which assessed practicing psychologists’ interest in additional clinical training on trauma-related issues and topics. Over 60% of survey respondents expressed interest in participating in additional training to learn more about trauma-related clinical topics, speaking to the gap between education around trauma and need for learning. Any best practices as it relates to trauma should be situated within a framework of ongoing education about clinical research and practice. Learning about multiple evidence-based models of care (e.g., community based, integrative, biological), dissemination of trauma-based competencies with trainees, initiating dialogue with local psychology or counseling training programs in your area, joining organization listservs (e.g., APA, ISTSS), and attending annual meetings are some of the ways in which you can evaluate, refresh, and update your understanding of trauma-specific issues. This is also an opportunity to have access to and receive feedback from the larger psychology community. Additional forums to promote knowledge sharing such as creating or joining a journal club, seeking opportunities for professional mentorship, attending local psychology practice associations, or sharing web-based trainings and seminars with your colleagues can demonstrate a commitment to critically review published literature and integrate general competencies and clinical skills with trauma-specific knowledge (Cook & Newman, 2014). Providing trauma-informed care can be best understood as a developmental process of learning and this has been true of my training and experience. Early career psychologists are well positioned to be innovative in their career trajectories and expand their role beyond traditional psychologist roles. Staying updated on trauma-related knowledge and experience through teaching, research, development of new ideas and programs, taking advantage of system resources, and seeking mentorship where possible can continue to help you shape your identity and advance the field of traumatic stress. American Psychological Association. (2006). APA task force on the assessment of competence in professional psychology: Final report. Washington, DC. Cieslak, R., Shoji, K., Douglas, A., Melville, E., Luszczynska, A., & Benight, C.C. (2013). A meta-analysis of the relationship between job burnout and secondary traumatic stress among workers with indirect exposure to trauma, Psychological Services, 11(1), 75- 86. Cloitre, M., Courtois, C.A., Charuvastra, A., Carapezza, R., Stolbach, B.C., & Green, B.L. (2011). Treatment of complex PTSD: Results of the ISTSS expert clinician survey on 90 best practices. Journal of Traumatic Stress, 4(6), 615-627. Cook, J.M. & Newman, E., (2014). A consensus statement on trauma mental health: The new haven competency conference process and major findings. Psychological Trauma: theory, Research, Practice, and Policy, 6(4), 300-307. Douce, L. A., & Keeling, R. P. (2014). A strategic primer on college student mental health. A report by NASPA: Student Affairs Administrators in Higher Education, the American Council on Education, and the American Psychological Association. Fallot, R.D., & Harris, M. (2008). Trauma-informed approaches to systems of care. Trauma Psychology Newsletter, 3, 6-7. James, L. C., & Folen, R. A. (2005). The primary care consultant: The next frontier for psychologists in hospitals and clinics. Washington, DC. American Psychological Association. Kannan, D. (2015). ISTSS expert consensus guidelines in action: Responding to campus sexual assault. International Society for Traumatic Stress Studies, Stress Points, 29(4). Layne, C.M., Strand, V., Popescu, M., Kaplow, J.B., Abramovitz, R., Stuber, M., Amaya- Jackson, L., Ross, L., & Pynoos, R.S. (2014). Using the core curriculum on childhood trauma to strengthen clinical knowledge in evidence-based practitioners. Journal of Clinical Child & Adolescent Psychology, 43(2), 286-300. Rowan, A. B., & Runyan, C. N. (2005). A primer on the consultation model of primary care behavioral health integration. In James, L. C. & Folen, R. A. (Eds. ), The primary care consultant. (pp. 9-27). Washington, DC: American Psychological Association. 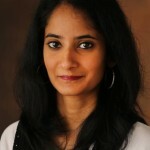 Divya Kannan, PhD, is an assistant professor of clinical psychiatry at the Vanderbilt University Medical Center. 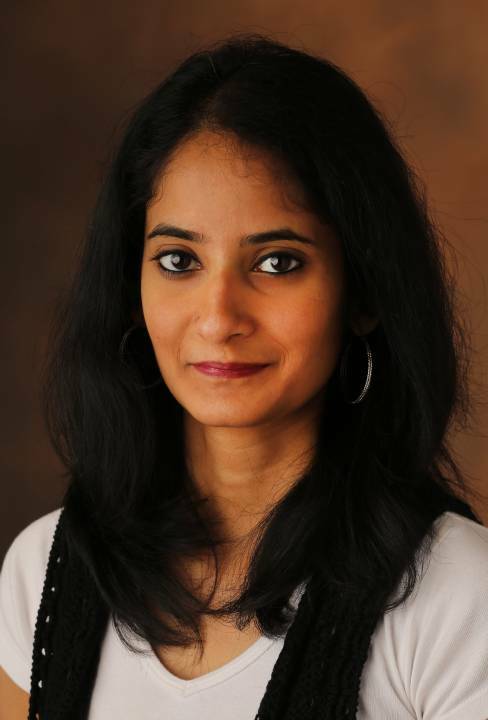 She leads the trauma team at the Vanderbilt Psychological & Counseling Center and has a primary clinical interest in working with complex trauma and sexual assault. She has expertise in using qualitative methods of inquiry and has focused her research interests on the investigation of factors that impact the process and outcome of psychotherapy.